Attention to employers - beware of lying on CVs. According to recent surveys Hr managers and recruiters the most common misleading information taken from the internet in many CVS. Do not take what they right especial for crucial positions. Our background check services have discovered that many employees lie about the titles. Also, they put inaccurate dates to cover up the gaps of unemployment. Some of them they take the advantage of technology and misuse it by creating or buying degrees and making fake payslips. They are a lot of lies regarding specific roles and duties. Our background checks will validate all the above mentioned and more. Are you planing to get married? You have things in your mind about your future half, that do not ad up! use our background check services. Getting married is and being in a relationship are two different things. It is advisable is you are considering to get married to do your home accordingly. Most of the people just get married and after few years they divorce. When the true colors of their partners come to reality. Doing a back ground check before making a huge decision is a very good step. On child custody its very important to get the information about the person who will raise the child. An asset check will let you know what a person's or company's assets are and what their financial status is. This can help you make the decision if this is the type of person or business you want to deal with. If a debtor owes you money, an asset check or asset investigation will tell you whether or not you should pursue the matter in court. For instance; the asset investigation can let you know if there are other creditors suing the same debtor. Also, if someone has claimed that they cannot pay you, an asset investigation can quickly tell you whether that is true or not. An asset investigation can also tell you if there are any assets and if it would be worth it for you to go after those assets. If you're a victim of fraud or owed a judgment and someone is claiming they don't have any money, an asset investigation can help you determine if that is truthful. An asset investigation can give you the proof that you need to show a court that they aren't declaring assets. A judge can then order the items to be sold so you can be paid your judgment. So why should you choose Tld Private Investigators? Well, there are literally hundreds of reasons why you might choose us but here are the top five that our clients tell us to make the difference. Our team of private investigators has many years of experience and as such are multi-disciplined which allows them to often provide a quicker solution to a case than some other firms. Tld Private Investigators give you a realistic assessment of the case, the time required to complete it and the costs involved. Tld private investigator Johannesburg assist individuals, employers, law firms, insurance companies and corporations by offering a large variety of investigative services. 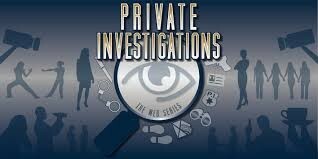 We customize each investigation to your specific needs.